For more than 100 years, a redbrick steam plant provided power to much of Pinehurst Village. It was shuttered in 1998, but reopened last year as the Pinehurst Brewing Company and now energizes the town with beer rather than hot water. For Pinehurst, it’s just one more story of rebirth, renovation, and renewal. 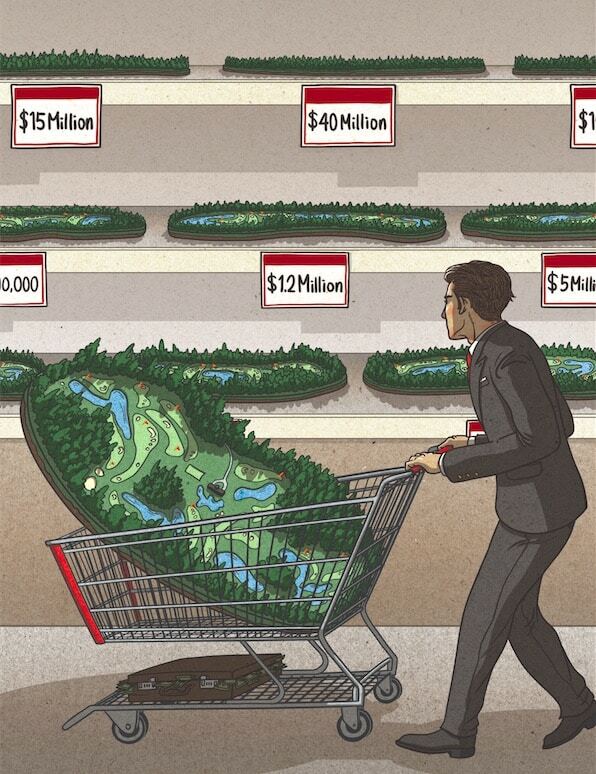 One of the keys to the ongoing success of “America’s golf mecca,” as the area calls itself, is constant improvement. Time may seem to stand still in the quaint village, but nothing else does. Since the Village of Pinehurst was created in 1895, the area has grown and regularly reinvented itself. Perhaps the ultimate example of this is course architect Donald Ross, who lived in town from 1900 to 1948 and tinkered with his masterpiece, the No. 2 course, the entire time. And the trend continues, particularly over the last decade, with every year witnessing at least one new opening or major renovation. Blink and Pinehurst provides a new reason to visit. Or return. This most recent boom started with the opening of Dormie Club in 2010. Still the only original Coore & Crenshaw design in North Carolina, Dormie is a big, rolling course on sandy soil with lots of elevation change. Despite plans for major real estate development and impressive facilities, only the course and a small clubhouse were ever built. But the club was recently purchased by a group called Dormie Network, and besides adopting its name they’ve made it the centerpiece of a national, multi-course membership club and announced plans to invest heavily, add real estate, and improve the facilities and course conditions. The club is private, but at least for now limited tee times are available through Tobacco Road Golf & Travel. Dormie Club is a very good course, another fine example of Coore & Crenshaw’s “minimalist” style, but hardly the pair’s only contribution to local golf. 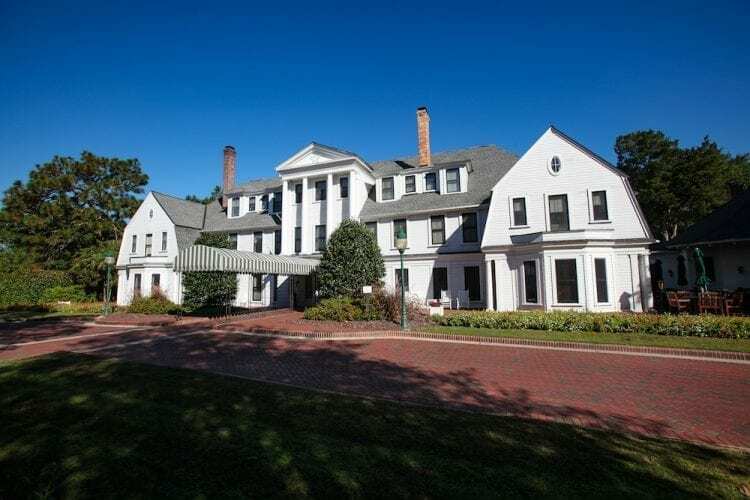 Their much-acclaimed renovation of Pinehurst Resort’s No. 2 for the 2014 men’s and women’s U.S. Opens kicked off a flood of renovations and improvements in the area. 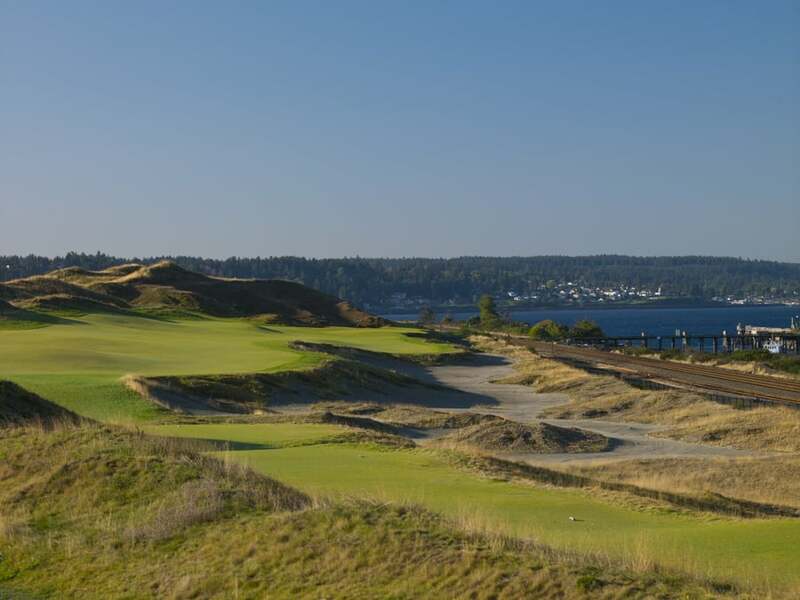 Challenging the conventional wisdom of what a U.S. Open venue should be, the architects stripped out acres of thick rough and removed trees, replacing them with sandy “natural areas” and wide rolling fairways. Then, in keeping with the USGA’s (new at the time) dictum that “brown is the new green,” the course was allowed to dry out and play fast during the two weeks of tournament play, a radical departure from the lush, emerald green venues of the past. Yet that was how things were always supposed to be. “The restoration of No. 2 realigned Pinehurst with its origin story,” says Pinehurst President Tom Pashley. 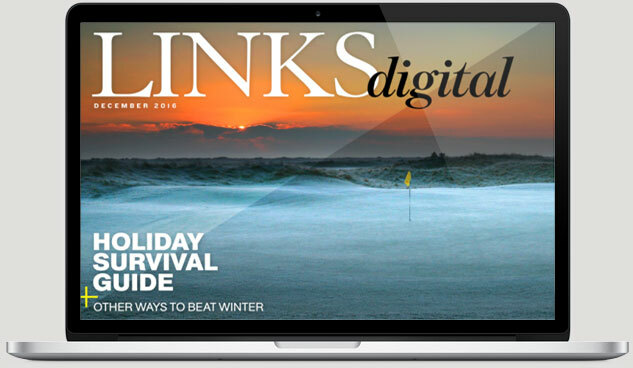 “Staying authentic to Donald Ross’s vision of Pinehurst golf became a guiding principle of our master plan.” Many called the resort crazy, then began following its lead. Years after the U.S. Opens, No. 2 still plays firm and fast, and while it’s not as brown as during the championships, the starter strongly suggests aiming for the front edges of greens, letting balls bounce and roll on. The renovation of No. 2 convinced the owners of Mid Pines and Pine Needles—Ross courses just outside the Village—to ask Kyle Franz, who’d worked with Coore & Crenshaw, to give their layouts similar treatment. Franz brought back the original Ross aesthetic, removing rough in favor of sandy areas, expanding greens to their original sizes, and cutting down hundreds of trees. In the ultimate show of confidence, Franz now lives off the 18th hole at Pine Needles, looking out on his work every day. 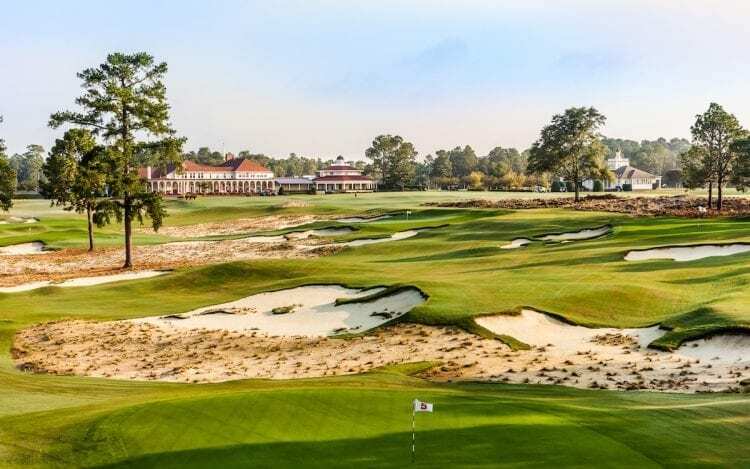 Further confirmation has come from the USGA, which picked the restored Pine Needles to host the 2019 U.S. Women’s Senior Open and the 2022 U.S. Women’s Open (its fourth). Early last year, Mid Pines’s owners took on a new financial partner and have begun investing. The bar in the clubhouse has been redone, there’s new patio seating overlooking the course, and word is both the rooms at Mid Pines Inn and the driving range will soon be updated. 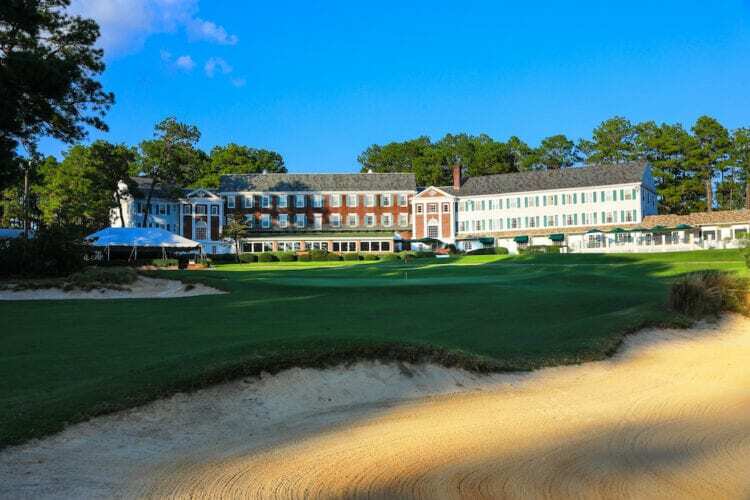 In 2016, the Pinehurst Resort renovated the charming but often overlooked No. 3 course. The Ross design is short at 5,155 yards, but its small, undulating greens make it a miniature—and less difficult—version of No. 2. 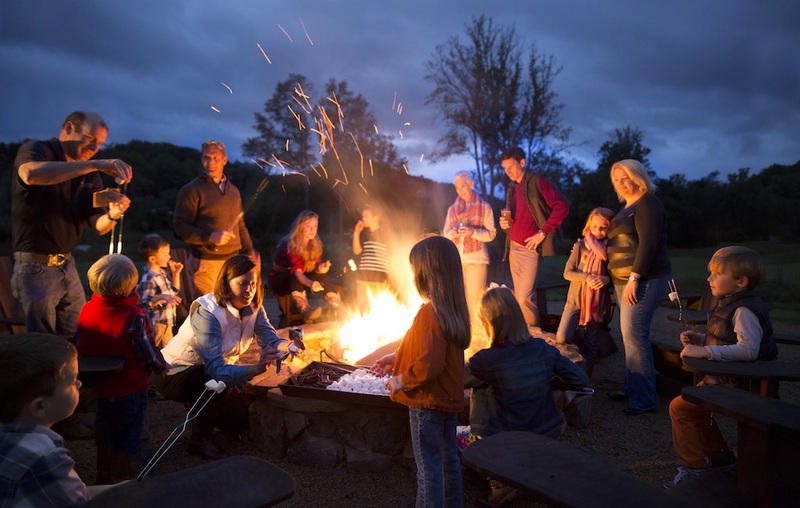 It’s a favorite of locals; more guests should add it to their itineraries. Finished with The Cradle, Hanse shifted his attention a few hundred yards away to Course No. 4. Designed by Ross in 1919, real estate development and renovations over the years by Robert Trent Jones, Rees Jones, and Tom Fazio had squeezed all the Ross out of it. Hanse’s charge was to bring the old Scotsman back, relying on old photos and drawings. The course, which opened late last year, now stands shoulder to shoulder with No. 2, just as big, just as impressive, but with more elevation change and scenic views. And a little less penal, since where No. 2’s crowned greens famously repel shots, the surfaces at No. 4 are meant to accept them. During the construction process, Hanse—who was living in Ross’s original home nearby—urged his crew to walk by No. 2 every day and draw inspiration. Likely the last renovation at the resort for a few years, it’s a helluva way to top things off. The resort is renovating the Manor Inn with groups of golfers in mind. They’re adding a new bar, food service in the lobby, and private rooms designed for groups to hang out, watch TV, and have a scoreboard for the trip. It will reopen in August 2019. It must be something in the water. Or the beer. The most convenient airport for a Pinehurst golf trip is Raleigh-Durham International (RDU). If you’re staying at Pinehurst Resort, a shuttle runs during peak times from the airport to the resort ($95 each way). The drive is just over an hour from the airport to the heart of town. Some of the best Pinehurst deals are in summer, when the average temperatures are higher (80s) and afternoon thunderstorms are common. Look for deals all over the web, but especially from Pinehurst Resort, Pine Needles Lodge and Mid Pines Inn, and Tobacco Road Golf & Travel, the last of which packages a number of area courses but not including Pinehurst Resort. Make time to play The Cradle at Pinehurst Resort. The Gil Hanse-designed short course costs $50 for unlimited replay rounds; golfers under 18 play free with a paying adult. And note, you don’t have to be staying at Pinehurst Resort to play The Cradle or any of the property’s other courses. Visit the town of Southern Pines. The food and drink options are wide-ranging and the historic town center is much more charming than the chain-restaurant-lined highway nearby would suggest. If you’re staying at Pinehurst Resort, use the free shuttles whenever possible. They run continually to and from every resort course, resort accommodation option, Pinehurst Village, and even Pinehurst Brewery. A visit to the Pine Crest Inn should be mandatory for every Pinehurst trip. Get a drink at the bar then chip balls off the carpet into the fireplace across the room. The Pine Crest is an easy walk from anywhere in Pinehurst Village. The Tufts Archives, one of the most extensive collections of golf artifacts and memorabilia in the world, are located in Pinehurst Village at the rear of the Given Memorial Library. Entry is free. The bar at Pine Needles Lodge & Golf Club (just outside Pinehurst Village) is another must-see for any golf traveler. Warm and friendly, it oozes character, looks out onto the Donald Ross-designed golf course, and offers great burgers and a selection of local beers on tap. 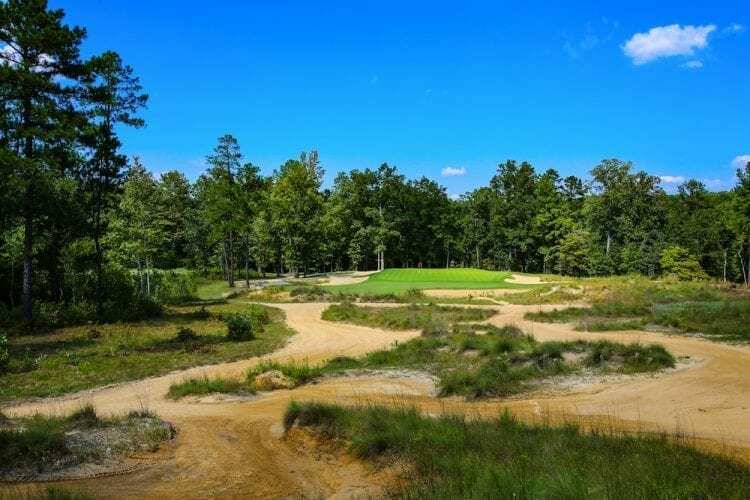 On your way in or out of Pinehurst, consider playing Tobacco Road (a 30-minute drive toward Raleigh) or Tot Hill Farm (a 50-minute drive toward Asheboro), both Mike Strantz designs sure to produce some of the craziest and most enjoyable rounds you’ll ever play. 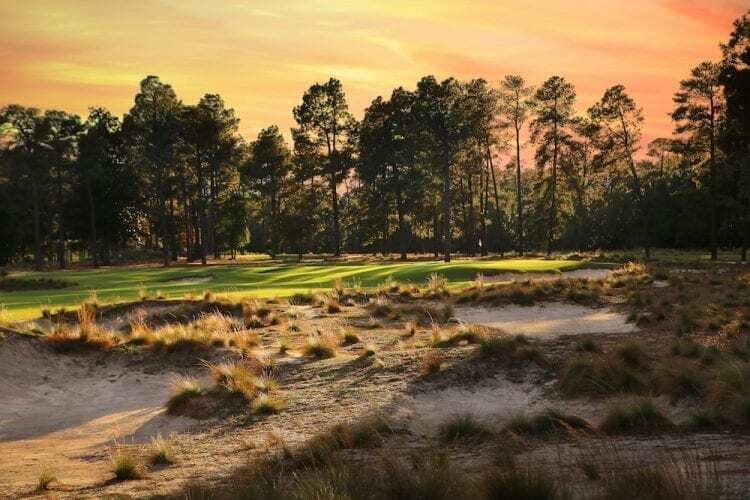 Don’t ignore the short and charming Pinehurst No. 3, a relaxing alternative to some of the area’s bigger, bolder venues. The course was recently restored, the tips are 5,155 yards, and the greens are some of the best in the area.